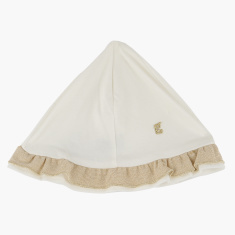 Your little one will look adorable after wearing this smart and fashionable cap. This cap comes with frill detail and breathable fabric to take care of your baby with style and keep him snug. 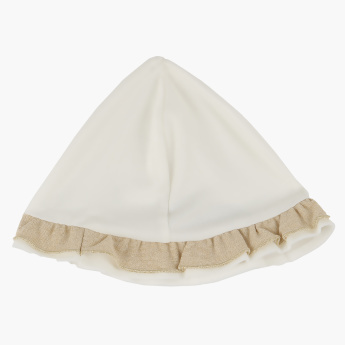 Features : Fashion cap with frilly hem all over the edges gives an attractive looks .